GEORGETOWN - Dodick Landau Inc. 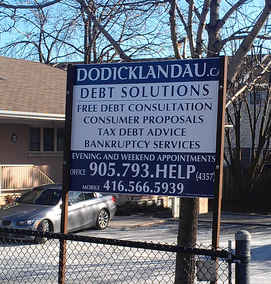 Although we have offices across the GTA and in Brampton, we have helped many customers in Georgetown. We are in the heart of Brampton, and evening appointments are available in this professional and discrete environment. There are a number of professionals that work out of this location which is owned and operated by the law firm of Dale Streiman and Kurz LLP. The office is easily accessible by car and parking is free. The office is located on the east side of Highway 10 (Main Street) just south of Williams Parkway. You can take highway 410 and exit at Williams Parkway and travel west until you arrive at Main Street and then go south.